Should I Turn My Business Into a C Corporation Under the New Tax Law? The new tax law ushered in some big changes for individual tax filers, but even bigger — and permanent — ones for some businesses, starting this year. The most notable? The new 21 percent federal flat tax for C corporations, a steep drop from the previous top rate of 35 percent. 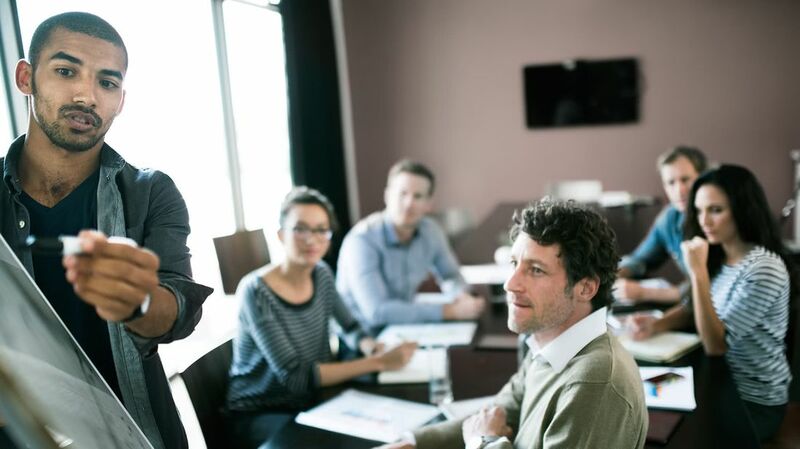 That news left many business owners wondering: Is it worth becoming a C corporation in order to take advantage of the new, lower rate? As with most tax-related decisions, the answer is complex and requires a thorough financial analysis with a tax professional and financial advisor. So before you rush to file new paperwork, ask yourself these important questions to help determine whether your business would actually benefit from a change. ARE THERE OTHER TAX BREAKS MY BUSINESS MIGHT BE ELIGIBLE FOR? Although much of the attention surrounding this year’s tax changes was focused on the cut in the corporate rate, pass-through businesses weren’t forgotten. 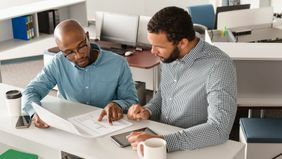 Business owners of pass-through entities like S corporations, sole proprietorships and partnerships may be able to deduct up to 20 percent of their qualified business income, depending on how much income they make and whether their businesses are considered service or non-service businesses. 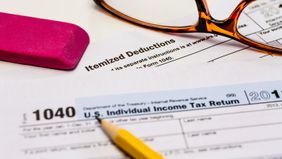 Generally speaking, owners of non-service businesses are in a better position to take advantage of the pass-through deduction, since service business owners phase out of the deduction completely once they surpass certain income limits ($415,000 for those married filing jointly and $207,500 for single filers). So if you own a pass-through business, it’s worth it to crunch some numbers side-by-side to see how your tax liability would change if you switched from your current entity to a C corp.
WHAT ARE MY TAX CONSIDERATIONS BEYOND THE TAX RATE? Of course, your business’ whole tax picture is about more than the federal rate. And typically it becomes more complicated if your business is a C corporation. One of the biggest considerations is that C corporations are double taxed, meaning taxes are paid twice on their income: The corporation itself pays corporate taxes on its earnings, and then shareholders are personally taxed on any dividends they receive from the company. Pass-through businesses aren’t double taxed because any income they earn is passed straight through to the business owners and taxed at their ordinary income tax rate. 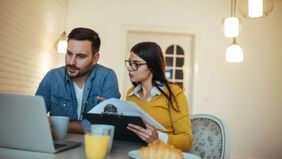 Even beyond the double taxation, consider how much you might pay in state taxes, employment taxes and taxes on appreciated property, among other factors, as the rules around these can vary depending on the type of your business. “You really have to look at all the economic facts,” says Jessica Lubar, advanced planning attorney for Northwestern Mutual. “Business owners should work with their accountants to look at their particular facts, because there are so many different scenarios that could play out in different ways.” Once you’ve taken these other factors into account, a net effective tax rate of, say, 20 percent versus 21 percent may not be your business’ most important financial consideration. "One of the biggest considerations is that C corporations are double taxed, meaning taxes are paid twice on their income." WHAT IS THE LONG-TERM PLAN FOR MY BUSINESS? You’ve put your heart and soul into starting a company and following your vision for the future, so don’t neglect long-term planning as a knee-jerk reaction to the tax law. And don’t forget there are other costs associated with changing the structure of your business. You may need to shell out more for tax and legal advisors. Plus, your corporate liability could change. These costs have the potential to cancel out any tax savings, particularly in the short term.